US monthly exports to India topped $3 billion for the first time, resulting in narrowing of American deficit by more than $1.3 billion. 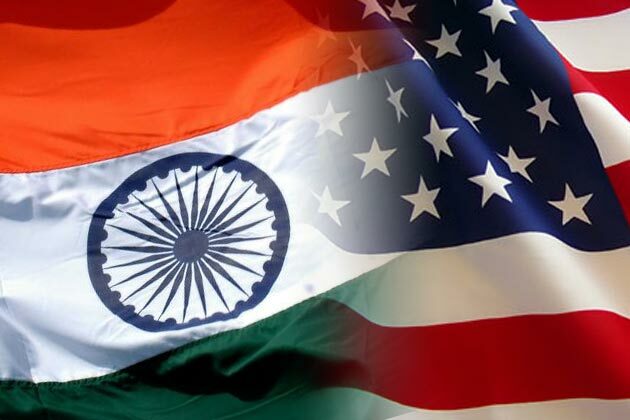 The US-India bilateral trade in goods grew by more than 18 percent in the first half of this year, compared to the same period in 2017, data released by the US Department of Commerce on Friday shows. The two countries traded in goods worth $42.37 billion through the end of June, up from $35.78 billion in the first six months of 2017, which was a record year, with their bilateral trade topping $74 billion. The United States was India’s second largest trading partner last year. Last year, India posted a trade surplus of more than $22.91 billion with the United States. That trend continued this year, with the country having a surplus of more than $11.28 billion through June end. However, in June — when the overall US trade deficit with its global trading partners increased to more than $46 billion — its deficit with India shrunk by more than $1.3 billion, thanks to a record increase in its exports. The United States exported goods worth $3.06 billion from India in June, its highest ever. Its imports from India for the month amounted to $4.18 billion. It was also the first time the US monthly exports to India crossed $3 billion. The previous record was set in March this year, when the United States sold India goods worth $2.9 billion. In May, America’s trade deficit with India was more than $2.45 billion, with exports accounting for more than $5 billion — the first time US imports from India touched the $5 billion mark. In the first half of 2018, the United States exported goods worth $15.54 to India. Its imports from India were to the tune of $26.82. Trade deficit is a sensitive issue with the Trump administration, as the United States has imposed tariff on imports from several trading partners worldwide. Pearls, precious stones, metals, mineral fuel, textile products and pharmaceuticals are among goods US imports from India, while its exports to India include processed pearls, precious stones, aircraft, surgical instruments and nuclear reactors, according to the Embassy of India in Washington, DC.